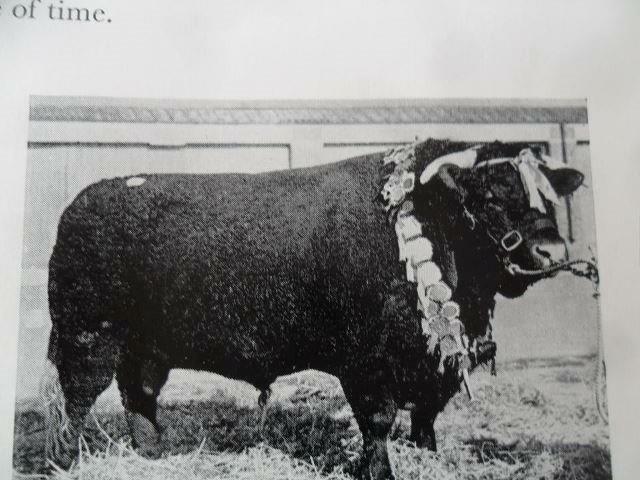 Devon, we hardly knew ye…. 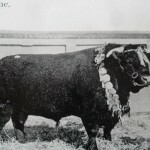 …our Cornwell correspondent, Juliet Cleave, came up with this picture of an award-winning bull…the way Devon used to be…before the English (and the Americans) “improved” the breed. And it wasn’t that long ago: 1963! We’ve asked Juliet for more information. For now, we only know his name was “Uggaton Highwayman 2nd”. Thistle Hill Farm Magic looks like him!